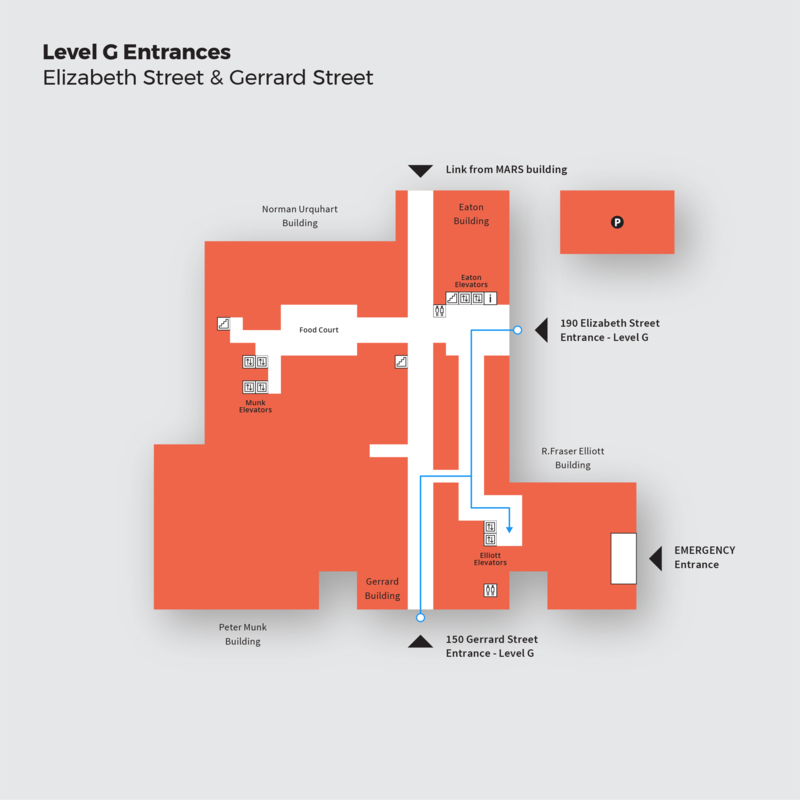 Enter the R. Fraser Elliott Building through the upper level courtyard on Elizabeth Street (not the Emergency entrance). Once through these doors, turn right and you’ll see the Elliott Elevators. Take these elevators to the 4th floor. 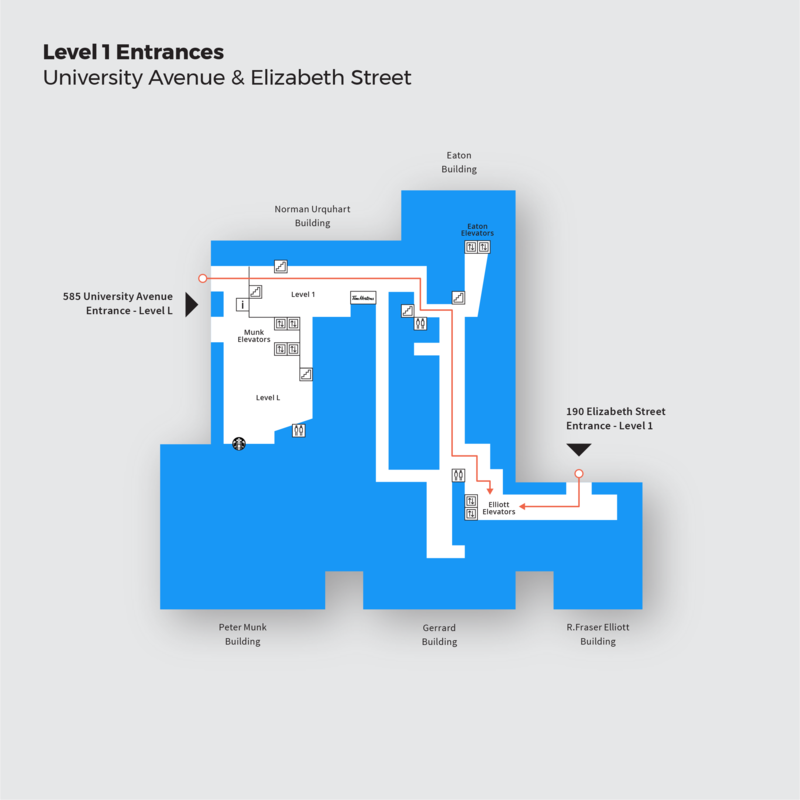 From the entrance on University Avenue walk towards Tim Horton’s and look for the signs that direct you towards the Eaton Elevators. Follow these signs passed the Volunteer Resources Centre and you will be at the Eaton Elevators. From here look for the sign that directs you to the Elliott Elevators. Keep walking until you see a small Tim Horton’s and the Elliott Elevators. Take these elevators to the 4th floor. If there is no receptionist available at the front desk, please use the iPad to send a direct message to the person you are looking for, or you may use the phone and dial the four digit extension of the person with whom you wish to speak. We are always looking for people with a passion for what they do. If that’s you, get in touch, and let’s see how we can work together.